OS grid reference: NZ 9030 1122. On the headland of the east-cliff (up the famous 199 steps) and above the seaside town of Whitby, north Yorkshire, stand the formidable ruins of Whitby Abbey, which was initially founded as a priory sometime after 1078 by Reinfrith, then in c 1105 it became a Benedictine abbey. It was finally dissolved on 14th December, 1539. On the same site back in 657-58 AD an Anglo-Saxon monastery was founded by Oswy, the King of Northumbria. This ‘then’ became a double monastery for both men and women and was headed by St Hilda (614-680 AD), a Saxon princess who had travelled ‘here’ from Hartlepool at the request of the king; Hilda being the daughter of a prince by the name of Hereic, who was apparently poisoned in 616 AD. In 663 AD the famous ‘Synod (Council) of Whitby’ took place at the monastery itself and, was significant in that it brought together both the Celtic and Roman churches! In 867 AD the Saxon monastery of Whitby was destroyed by Viking raiders. 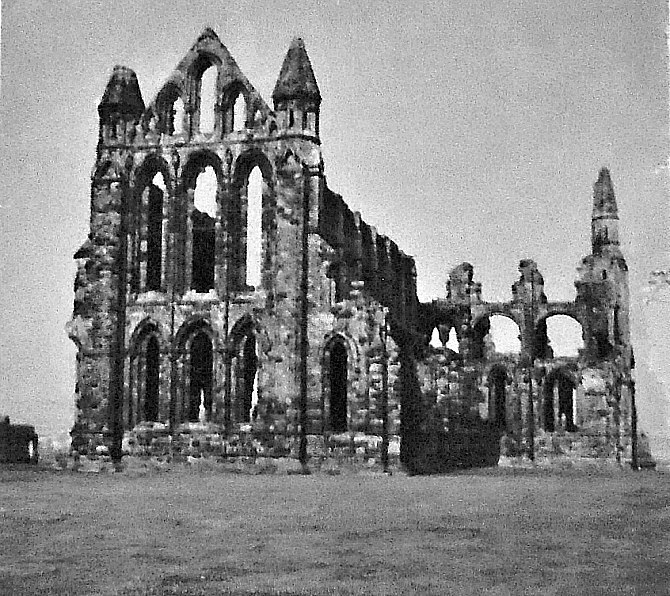 The majestic ruins of Whitby Abbey that we see today date, for the most part, from the mid 13th century. St Hilda (Hild) died on the 17th November (her feast-day) in 680 AD – her passing being mentioned by the Venerable Bede and ‘The Anglo Saxon Chronicle’. In the Dark Ages Whitby was called ‘Streonshall’ and continued to be called that until at least the Viking Invasion in the 9th century, but probably the old name continued to be used long after that. 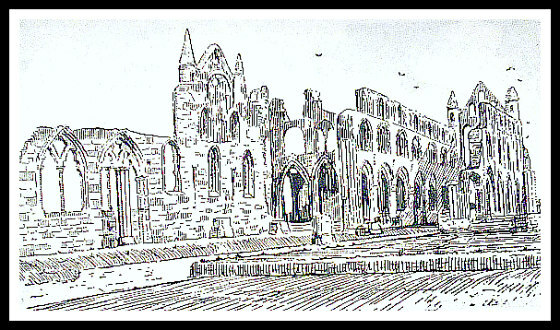 Whitby Abbey Ruins (old illustration). 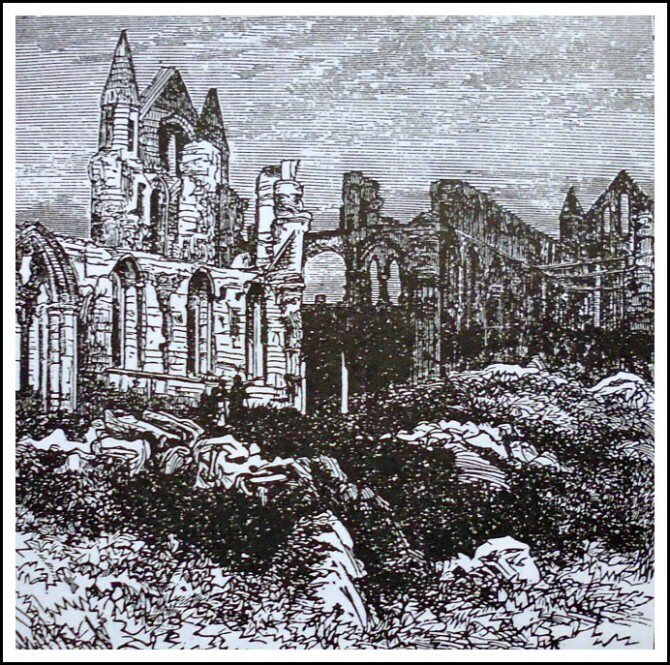 Categories: Abbey or Priory, Monastic Sites | Tags: St Hilda, Whitby Abbey North Yorkshire by Edward White | Permalink.